In July 2013, Sam Merkel was diagnosed with Osteosarcoma, a Pediatric Bone Cancer. Sam underwent four months of in-patient chemotherapy, followed by reconstructive surgery on his leg. Sam had a complete knee replacement where the cancer was originally found, along with removing eight inches of his femur which was replaced by a prosthesis as well. Sam then had four more months of chemotherapy and a lot of physical therapy. Sam spent nine long months in the hospital, with very little breaks to come home. In October 2014, Sam began experiencing facial numbness. When Sam arrived back at St. Louis Children’s Hospital and a MRI was conducted, the doctors confirmed that the cancer was back, although this time, it was in his skull. In November 2014, Sam underwent a craniotomy that showed that the lesion in his skull was unable to be removed – it was also Osteosarcoma. After monthly scans, Sam was let down once again. Sam’s Osteosarcoma had metastasized to his lungs. Sam was running out of options, until Sam was approached with a clinical trial at Siteman Cancer Center in the spring of 2015. It was a blessing. Sam was one spot out of 80. People from all over the United States with Sarcoma were hoping to get into the Immunotherapy trial. Immunotherapy is one of the latest advancements in Cancer therapy. This was a very different treatment compared to Sam’s other treatments. 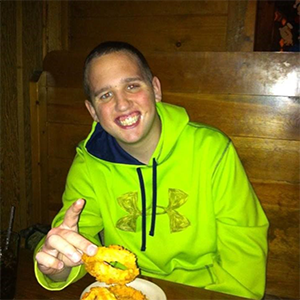 Sam was able to attend college, eat his favorite meals without nausea, and spend precious time with friends and family. Sam’s family and friends are truly thankful for the Immunotherapy trial, because it allowed Sam to acquire more time doing the things he loved here on earth. On December 29, 2015, after a two-and-a-half year fight, Sam lost his battle with cancer. We are grateful for the research clinical trials that gave Sam more time to live. Please consider supporting our event by donating gift certificates, merchandise, or services. 100% of proceeds will go to Osteosarcoma Research at Washington University. 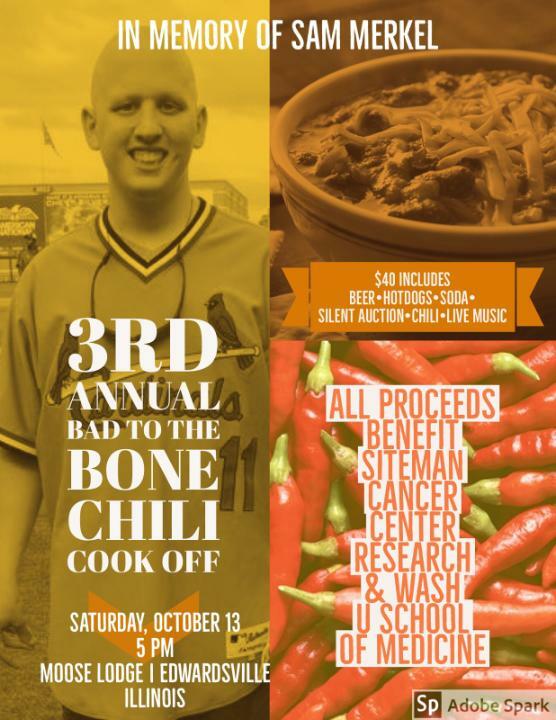 At our first Chili Cook off, in 2016, $26,000 was raised and donated to Washington University School of Medicine Osteosarcoma Research. Our second annual Chili Cook off, in 2017, $30,000 was raised and donated to Washington University School of Medicine Osteosarcoma Research. 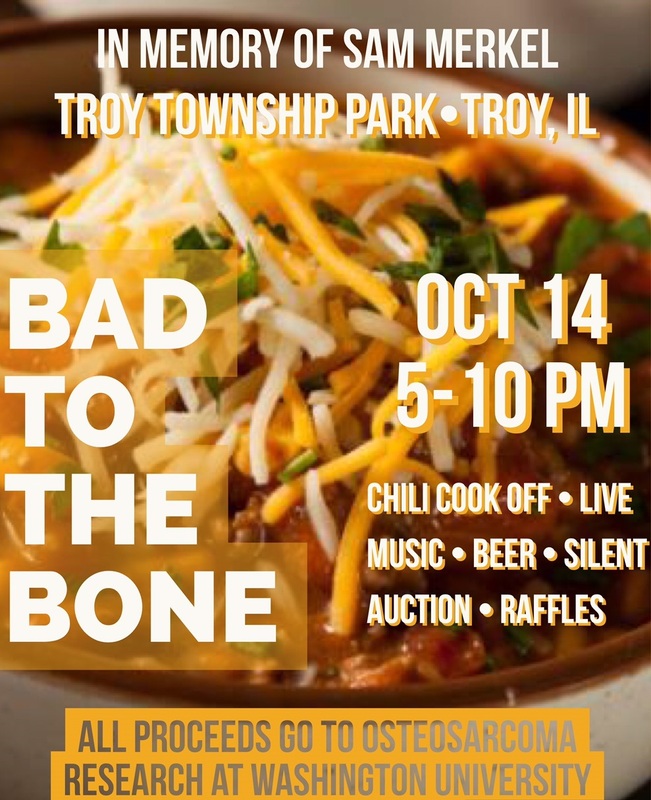 Our goal for our Third Annual Bad to the Bone Chili Cook off is to raise $35,000. 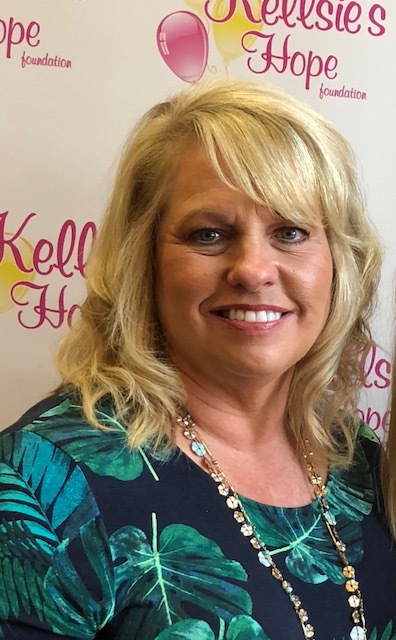 In exchange, you will receive some excellent community exposure and advertising; your company name, address, phone number, and donation will be listed at the silent auction. WE THANK YOU IN ADVANCE FOR YOUR SUPPORT OF OSTEOSARCOMA RESEARCH!!! !